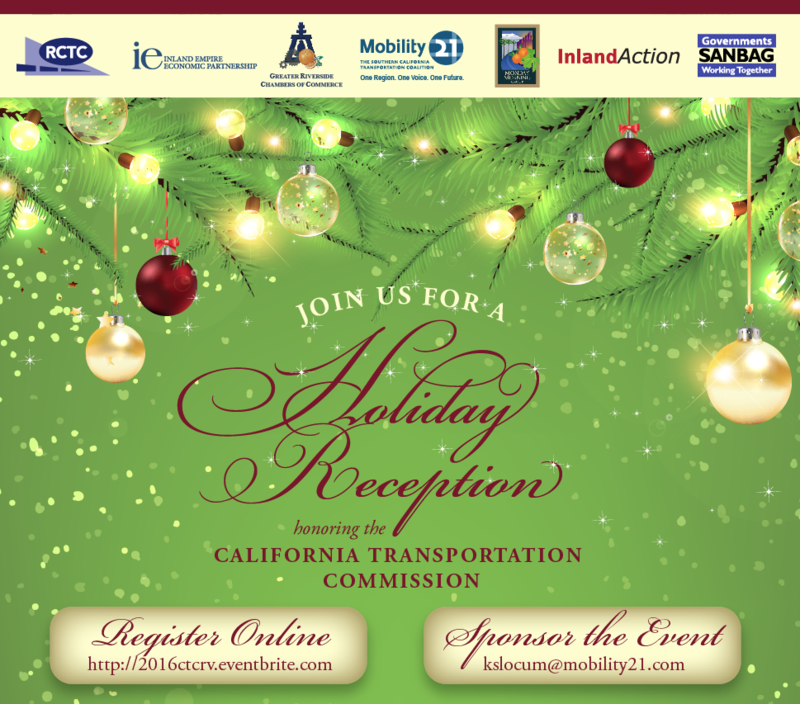 Please join the Greater Riverside Chambers of Commerce, Inland Empire Economic Partnership, Inland Action, Mobility 21, Monday Morning Group, RCTC and SANBAG on Wednesday, Dec. 7 for a holiday reception honoring the California Transportation Commission (CTC). Wednesday, Dec. 7, 5-7 p.m.
Senior Vice President, Corporate Development, Majestic Realty Co.
Fran Inman directs government relations and community affairs activities for Majestic Realty Co., one of the nation’s largest privately held real estate development companies. With a real estate portfolio totaling approximately 80 million square feet of commercial properties, Majestic Realty Co. has offices in Los Angeles, Atlanta, Bethlehem, Dallas, Fort Worth, Denver and Las Vegas. Fran is past chair of the board of the Los Angeles Area Chamber of Commerce and San Gabriel Valley Economic Partnership. Fran also serves as the vice chair for the California Business Properties Association (CBPA) and the California Business Roundtable (CBRT). Fran is also a founding board member of FuturePorts and a member of Inland Action and is on the Advisory Board of Mobility 21. She is also a long-time member of the Coalition of America’s Gateway Trade Corridors and Southern California Council of Governments (SCAG). SCAG honored Fran as 2013 Business Leader of the Year. Fran is recognized as a leader in the push to improve the nation’s failing transportation infrastructure. With Majestic properties playing a critical role in the supply chain, Fran is an outspoken advocate for transportation infrastructure funding in Los Angeles and beyond. Widely recognized for her leadership and ability to develop solutions and build consensus, Fran possesses a unique portfolio of skills that combine a profound understanding of the balance required to build sustainable communities. Fran is co-chair of the California Transportation Commission where she has served since 2010. In 2013, Fran was also a member of the National Freight Advisory Committee and co-chaired the sub-committee on project delivery and operations. Fran recently received the prestigious Peter Drucker Award for Excellence in Supply Chain & Logistics Management. Equally passionate about her role in the nonprofit sector, Fran focuses her leadership efforts to help expand capacity and build coalitions with the organizations that serve at-risk and under-served neighborhoods. Fran further demonstrates her commitment to active community engagement through her service as board member of THINK Together, a nationally-recognized non-profit providing extended learning programs that serve more than 100,000 at-risk and low-income students daily across California. 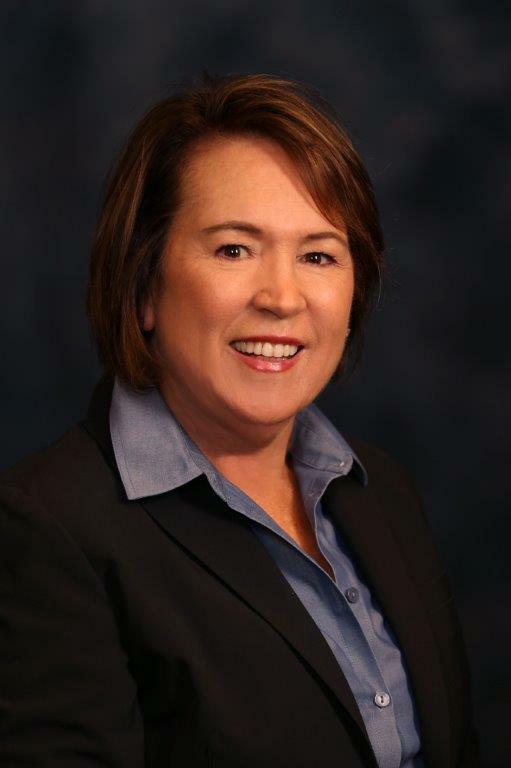 Fran serves on the board of directors for Three Square, the regional food bank in Las Vegas, Nevada, the board of trustees for the University of Redlands, Queens Care Charitable Foundation, as well as the UCLA Luskin School of Public Affairs Advisory Board. A graduate of California State University, Fullerton, Fran holds both a BA and a MBA in finance. In 2010, Fran was awarded an Honorary Doctorate of Business Administration from Woodbury University. She and her husband Ron have three adult children – Chris (and Emily) Fran (Denver, CO); Kelly (and Todd) Rohs (Ft. Collins, CO) and Melinda Fran (Wheaton, IL) – and the delight of her life, granddaughters Katherine, Caroline, and Claire Elise (Denver, CO). Mike is the Chief Executive Officer for the Transportation Corridor Agencies (TCA). TCA operates a 51-mile toll road network in Orange County, providing traffic relief to over 300,000 customers daily. Additionally, TCA manages 2,200 acres of restored open-space that was established as mitigation for construction of the Toll Roads. As CEO, Mike has lead the TCA’s efforts to redefine its pathway forward in completing the roadway network that will connect the 241 Toll Road to the I-5 Freeway. These efforts included a strategic restructure of the Agencies’ finances to establish a favorable debt profile for the future. He has worked to overcome various obstacles preventing progress on completing the 241 Toll Road, including the recent approval of a historic settlement agreement with the Environmental Groups and the Attorney General. This agreement provides a baseline for improving regional mobility in Orange County, while at the same time protecting extraordinary recreational, cultural and natural resources. After M&N, Mike served as the Southern California Regional Vice-President for HNTB Corporation including a three-year assignment as the Design Manager for the $1.3billion I-405 Sepulveda Pass Widening design-build project. 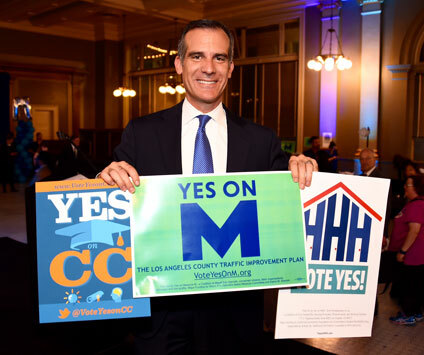 Votes are still being counted but numbers show that Measure M – the Los Angeles County Traffic Improvement Plan – has passed, garnering more than 70 percent of the vote and far surpassing the required two thirds vote. Measure M is a new half-cent sales tax for L.A. County transportation that will start in July 2017 and continue the current half-cent Measure R tax after it expires in 2039. The two will then combine for one cent. Measure M will help residents of all ages across L.A. County by providing more travel options, improvements to local streets and better programs for seniors, persons with disabilities and students. Measure M will provide funding for 40 major projects over the next 40 years. And based on the latest economic forecast by the Los Angeles County Economic Development Corporation, Measure M will add 465,690 new jobs across the region. Metro will begin moving several projects into the environmental process and expediting those already undergoing environmental work, with the first Measure M projects scheduled to start construction within the next couple of years. The Southern California Association of Governments will be hosting the 7th Annual Southern California Economic Summit on Thursday, Dec. 1, at the L.A. Hotel in downtown Los Angeles. In partnership with the Southern California Leadership Council, the summit brings together local civic and business leaders to assess the state of the region’s economy and discuss opportunities for job growth and prosperity. This year’s program will feature as keynote speaker Lieutenant Governor Gavin Newsom and highlight the growing innovation economy in Southern California. Elected officials, public and private sector CEOs, business and labor representatives, non-profit leaders and city managers are invited to attend. Registration for the Economic Summit is complimentary, but capacity is limited. Please visit www.scag.ca.gov/economicsummit to register and for updates on the event. This month, the Orange County Transportation Authority’s (OCTA) board of directors selected OC 405 Partners to design and construct the I-405 Improvement Project, a major step in the agency’s effort to speed up travel times for roughly 370,000 daily drivers between Costa Mesa and the Los Angeles County line. OC 405 Partners is a team of firms led by OHL USA, Inc. and Astaldi Construction Corporation. Other major projects by the firms include the I-15 Corridor Reconstruction Project in Utah and the SR-826/836 Interchange Reconstruction Project in Florida. The contract awarded for project design and construction is $1.2 billion. The project is the first in the state being built using the design-build authority provided under Assembly Bill 401 by Assemblyman Tom Daly, passed in 2013. AB 401 provides authority for regional transportation agencies and Caltrans to use the design-build method of project delivery on state highway projects, resulting in cost and time savings. The OCTA board also approved a toll operating agreement with Caltrans at today’s meeting to address matters related to the design, construction, maintenance and operation of the 405 Express Lanes. The 405 Express Lanes will be the first project in the state to use the tolling authority provided last year under AB 194, authored by Assemblyman Jim Frazier. This authority is key to ensuring that operations, funding and investment decisions for the express lanes respect local planning and funding priorities. The total I-405 Improvement Project cost is $1.9 billion and will be funded with a combination of local, state and federal funds. OCTA is currently pursuing a federal TIFIA loan to fund a significant portion of the project. In addition to constructing the new lanes, the project will rebuild 18 bridges and improve freeway access and traffic on local streets. 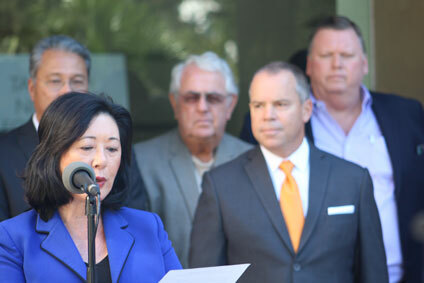 All of this work is critical to accommodate expected employment, population and housing growth in not only Orange County, but throughout the region. Traffic on I-405 is anticipated to grow by 30 percent in the next 25 years. The 405 Express Lanes portion of the project is being modeled after the successful 91 Express Lanes, owned and operated by OCTA. With the 405 Express Lanes, solo drivers will have the choice to pay a toll to speed up their commute. Carpools of two or more people can use the 405 Express Lanes for free for the first 3 ½ years after opening. Cars with three or more people will use the express lanes for free at all times. The 405 Express Lanes adds an option for drivers traveling through the area. Funding additional lanes with tolling creates the opportunity to move more traffic through the region, improve speeds and enable people to get where they are going in a predictable amount of time. In 2040, it’s expected to take 29 minutes to travel during rush hour from SR-73 to I-605 in the regular lanes. That commute can be cut down to 13 minutes if a driver chooses to take the 405 Express Lanes. Without the project it would take 2 hours and 13 minutes to travel that stretch of freeway in the regular lanes or 2 hours in the carpool lanes. Sen. Dianne Feinstein, Federal Aviation Administrator Michael Huerta, Los Angeles Mayor Eric Garcetti and former Los Angeles Dodgers Manager Tommy Lasorda were among the many dignitaries on hand inside Terminal 4 at Ontario International Airport (ONT) on Nov. 2 to celebrate the ‘changing of the guard’ between the City of Los Angeles and the City of Ontario. This historic event was hosted by Ontario International Airport Authority (OIAA) President Alan Wapner. 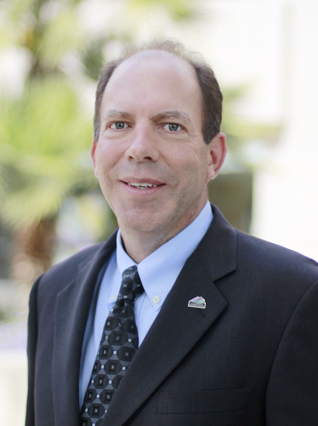 Mr. Wapner also serves as the San Bernardino Associated Governments Vice President and Ontario City Councilmember. Perhaps one of the strongest advocates for the transfer of the airport, Mr. Wapner launched the celebration off with a heartfelt, “welcome to OUR airport.” In his role as OIAA President, he recognized the dwindling support for growth at the airport while the need was growing exponentially in the region for a viable alternative to LAX. While the ceremony represents a major milestone being realized, Mr. Wapner and other OIAA leaders will be the first to tell you that they have a much more daunting task ahead in effectively running the airport and growing it to the potential needed to continue its economic expansion. Representative Norma Torres and Representative Grace Napolitano joined Mr. Wapner and the others to remark about the partnership and collaboration by all those involved to make the transfer a reality for both cities. A resolution acknowledging the transfer states, “Congress recognized the importance of this transfer by enacting legislation to facilitate the use of Passenger Facility Charges at Ontario International Airport.” No small accomplishment in today’s political environment. Congratulations to Mr. Wapner, OIAA, and the residents of San Bernardino County for taking another key step toward a better region. On Nov. 10, The Foothill/Eastern Transportation Corridor Agency (TCA) Board of Directors, by a 10-2 vote, approved a Settlement Agreement with the Save San Onofre Coalition (SSOC) and the California Attorney General that allows the Agency to move forward with the environmental review process for extending the 241 Toll Road to improve regional mobility while also protecting environmentally sensitive areas including the San Onofre State Park and the Richard and Donna O’Neill Conservancy. This Agreement marks the end of a 15-year legal battle with five lawsuits challenging TCA’s approvals of its Foothill South and Tesoro Extension Projects. For the past two years, the Agency and its team of experts have engaged in thoughtful and productive discussions about the future of improving transportation mobility and the importance of protecting environmentally sensitive areas. This agreement is a baseline for achieving both of those objectives. Settles five lawsuits challenging the 2006 and 2013 approvals of Foothill-South and Tesoro Extension projects brought by the California Attorney General and members of the Save San Onofre Coalition. Provides that the Agency will rescind its 2006 approval of the so-called “Green Alignment” that would have run through San Onofre State Beach and its 2013 approval of the Tesoro Extension project. Allows the Agency to move forward with a formal CEQA/NEPA process to review alternative routes for connecting SR-241 to Interstate 5 freeway and develop an SR-241 extension project that avoids San Onofre State Beach and other environmentally and culturally sensitive lands designated in the agreement, without opposition by the environmental organizations comprising the Save San Onofre Coalition. 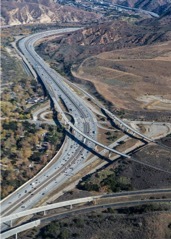 Establishes a cooperative framework by which an alignment for SR-241 and other I-5 traffic congestion solutions can be identified, evaluated and potentially advanced in a manner that follows applicable laws, is consistent with recommendations issued by regulatory agencies in 2008, and meets south Orange County’s transportation needs. The Transportation Corridor Agencies (TCA) and Caltrans are proposing to build a direct, median-to-median, tolled connector to link the northbound 241 Toll Road and eastbound 91 Express Lanes and to link the westbound 91 Express Lanes to the southbound 241 Toll Road. This “Express Connector” would decrease traffic congestion, enhance safety by reducing weaving across lanes, and improve toll road and toll lane access in Orange and Riverside counties. 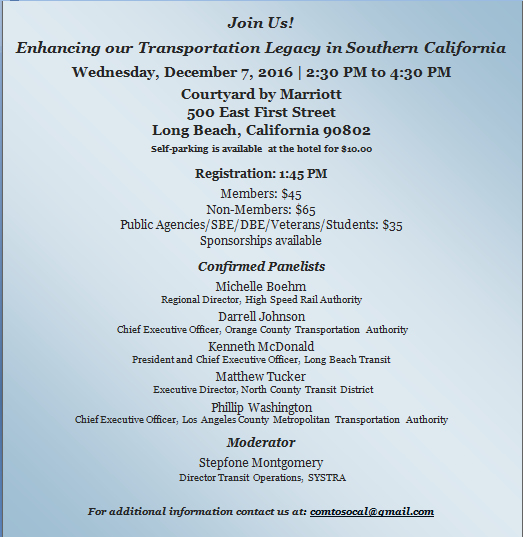 TCA and Caltrans welcome your comments. The draft supplemental Environmental Impact Report/Environmental Impact Statement is available for public review from Nov. 7, 2016 to Jan. 9, 2017. An open house style public hearing will be held Tuesday, Nov. 29 from 5:30 to 8:30 p.m. at the East Anaheim Community Center, 8201 E. Santa Ana Canyon Rd., Anaheim. If you are unable to attend the public hearing in person, you can take part in an online “virtual public hearing” by viewing a video during or after the public hearing. Visit the project website to view the virtual public meeting (available on and after Nov. 29 at 5:30 p.m.), learn more about the proposed project, how to submit comments, and sign up for updates.